No longer can businesses try and buy respect from their customers, they have to earn it. This is where EARN Media come in, a marketing company for the 21st Century. Within 6 months of launching they had already made the most shared video ever created. Having delivered hugely successful international campaigns for 118 118, The BBC, Red Bull and Monster Energy, Jamal Benmiloud created EARN Media, as a direct response to everything he had learned in his years as a marketeer. Jamal had seen first hand that the businesses that were succeeding in the 21st Century were those that were no longer wasting money on a top-down advertising spend, but were instead building up enormous customer bases by staging events, putting on promotions and building an army of loyal fans. 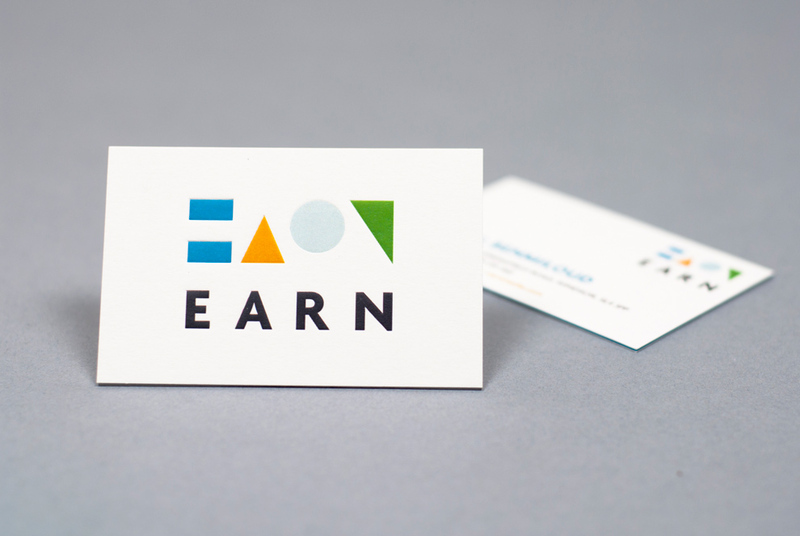 EARN asked Tinder & Sparks to create an identity for them that reflected this new media model. It needed to appeal to the very top level of CEO/CMO marketing consultants, sitting happily amongst the traditional media buying agencies but have its own twist – by being creative, intelligent and with its own story to tell. Together we developed their brand identity, creating a very stylised version of the EARN name, designed specifically to stimulate interest and conversation. The shapes can work on their own as an abstraction and can even be broken down to use as page furniture or image frames. 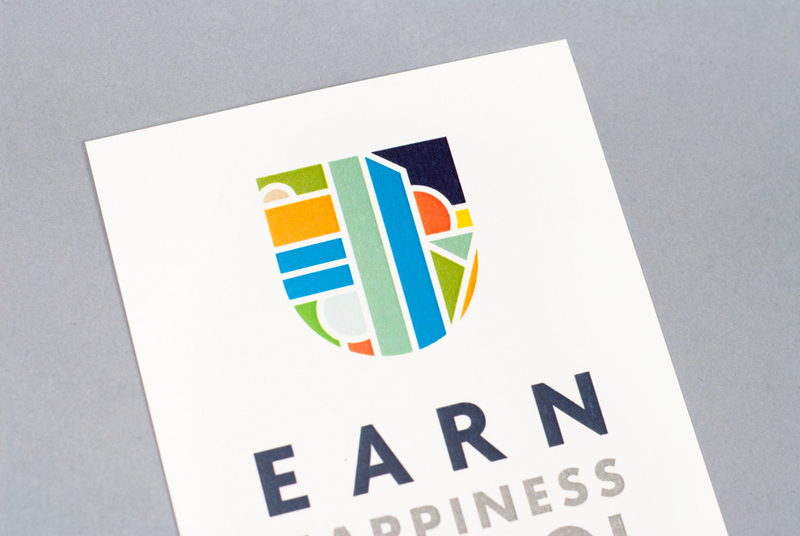 As extensions of the brand they also have various media divisions and have created The EARN Happiness School, a gathering of people around the conversation of happiness and fulfilment. Within the first 2 years of operating, they have worked with ITV, Samsung, Lucozade and Castrol GTI, and in the World Cup summer of 2014, they created an ad which went on to be the most shared video ever created.